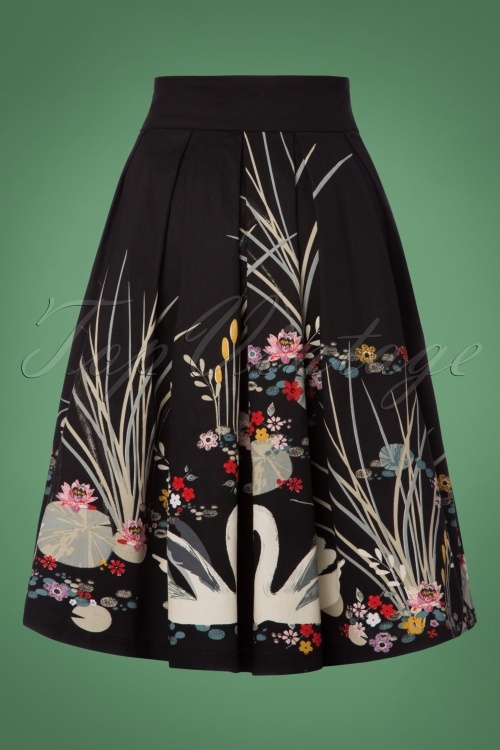 You'll be the prettiest of them all when wearing this 50s Daniella Swan Border Swing Skirt in Black! 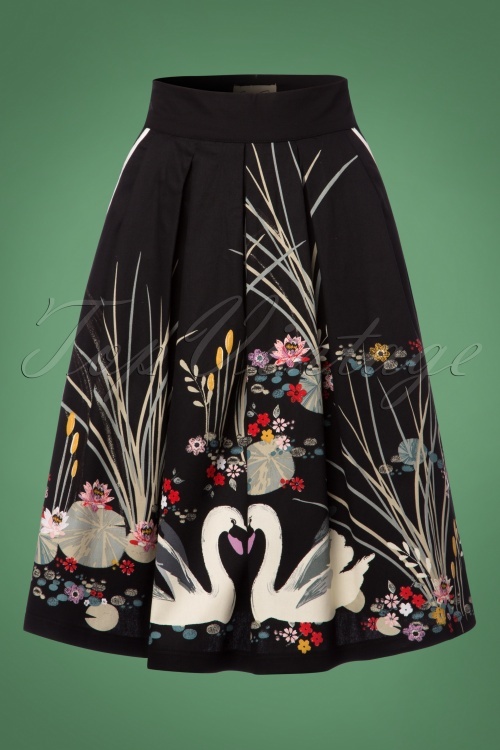 The bell is ringing, you walk to the front door and there she is... your own Daniella Skirt! 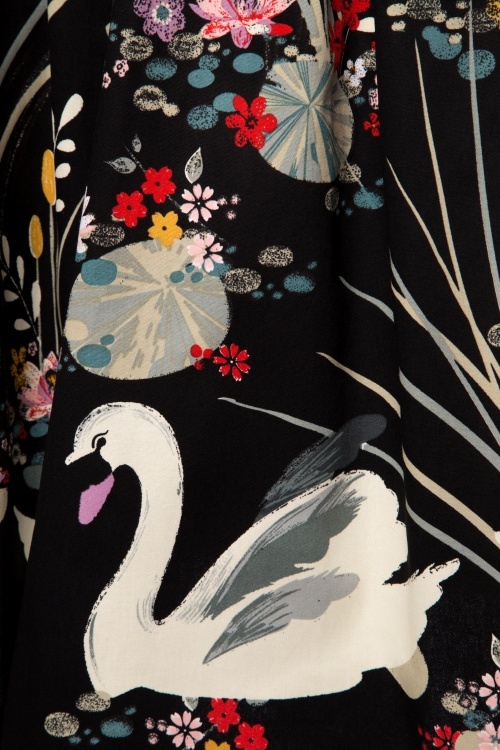 You'll transform into a beautiful swan when wearing her ;-) The amazing print will immediately draw your attention but the flowy swing style with cute side pockets finishes it off completely. Made from a firm yet supple, black cotton blend with a light stretch for a lovely fit. We're already in love, what about you? Prachtige rok. Een feestje om te dragen!